We’re proud to be part of Yaletown’s community for 3 years and running! 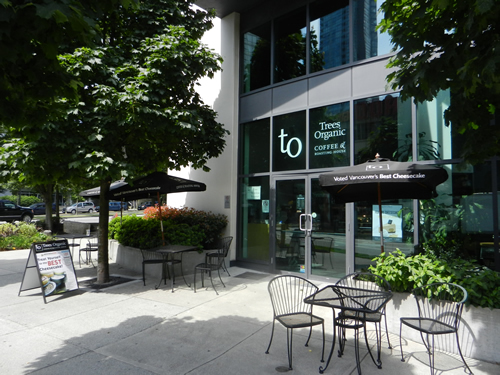 Trees Organic Coffee House’s café in Yaletown at 1391 Richards Street is having its third birthday on Thursday, August 30 and you’re invited! There’s going to be free samples of Trees’ award-winning cheesecake, prizes and more. 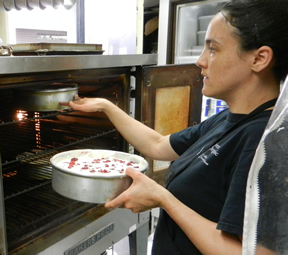 Much as we love our organic coffee and specialty drinks at Trees Organic Coffee House, we love our baking just as much. Our in-house bakery is a busy place, baking everything from our made-from-scratch top-rated cheesecake to our yummy breakfast muffins, scones and other treats. 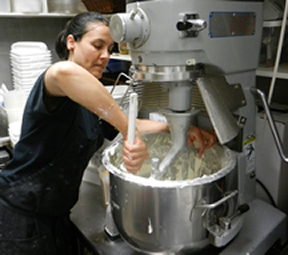 We caught up this week with our baker Magdalena and talked about some of her favorite treats and where she finds her inspiration. Fruit, on the other hand, can be a food of which there could be minimal discussion. Incorporating much more of the to your food plan is sweet in your case weight, very good on your entire body and very good on your temper. Pears are at the moment the trendiest among dietitians and with very good cause. chinese bee pollen For 3 times you might test to consume just about every several of many hrs using a balance of protein, carbs, fiber and further extra fat. You’ll be proscribing energy but, rising top quality nutrition. You’ll go on to maintain up with your workout plan. What makes the cheesecake so special here? Do you have a favorite dessert from Trees Organic at our Granville, Gastown, Yaletown or Richmond locations? Let us know.